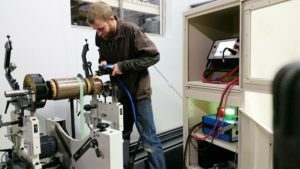 Acme Armature Works Inc. has an immediate opening for a full-time, flexible first-shift electric motor repair technician. 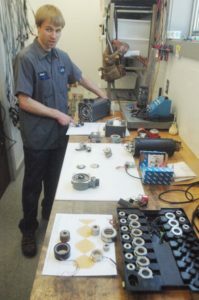 Regular job duties include repairing, positioning, installing, connecting and testing a variety of electrical and mechanical systems, in addition to troubleshooting and repairing industrial machinery (gear reducers, submersible and inline pumps, etc.) and associated equipment in our repair shop, or in the field in a customer’s manufacturing environment. · Perform preventative maintenance procedures on equipment, including but not limited to, PM’s vibration analysis, balancing, shaft alignment, inspecting belts, checking fluid levels, replacing filters, greasing bearings etc. on a scheduled basis. · A minimum of 2 years electric motor repair, rewind, electro-mechanical or industrial maintenance experience or an associate degree in electricity or electro-mechanics preferred. · Industrial mechanical and electrical experience preferred. · Good working knowledge in the use of various tools equipment and test equipment, including multimeters, insulation resistance meters, electric motor analyzers (hipot and surge tester), oscilloscope, measuring devices (micrometers, precision indicators), equipment and basic computer knowledge. · Good math/measuring, communication, mechanical and organizational skills. · Ability to work in a team environment or independently, read and follow detailed instructions, think and react quickly to troubleshoot daily issues. 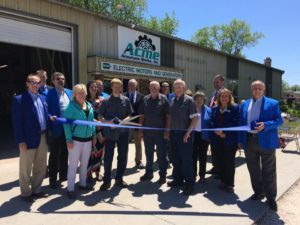 Acme Armature Works Inc. is a fast-growing, clean, well-organized, electro-mechanical motor repair shop located at 2727 North 21st St. in Sheboygan, Wisconsin.